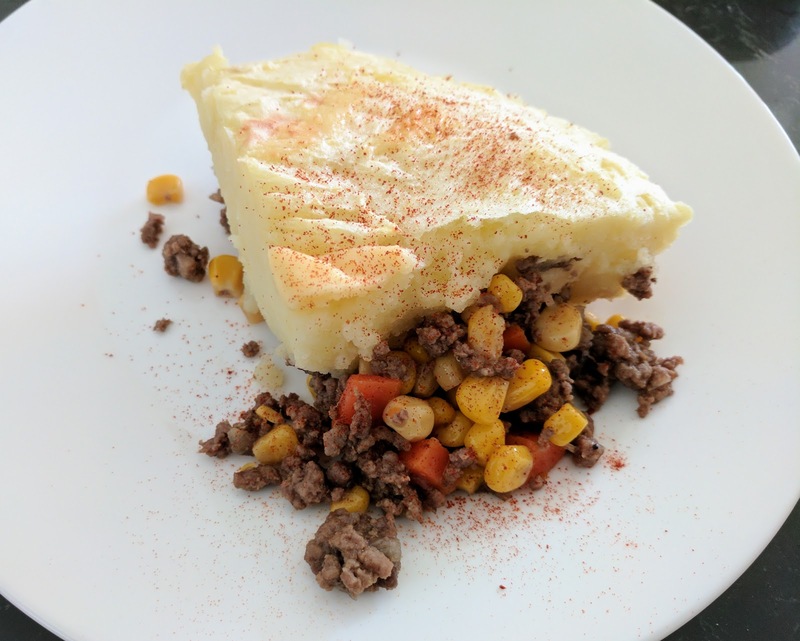 This shepherd's pie is quick to throw together and easy to pack away for lunch. 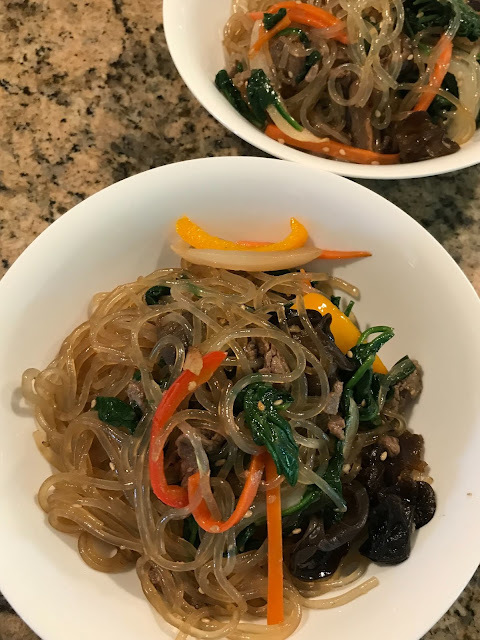 It makes enough in a medium casserole dish for a 3-4 person meal plus a couple of small ramekins to save for a nice lunch with a salad like an arugula salad on another day. Cut the potatoes in quarters and boil in a large pot for 20 min or until soft. Drain the water and add the butter and milk. Mash the potatoes and set aside. 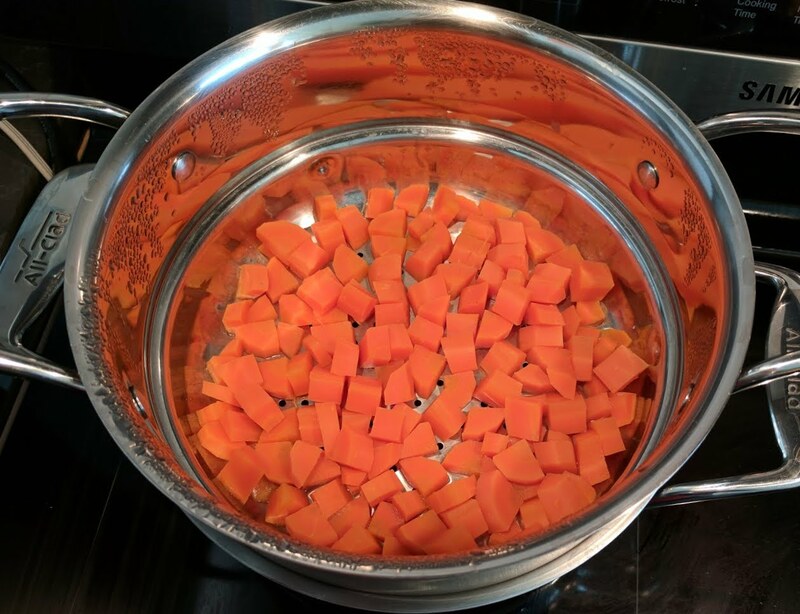 While the potatoes are being cooked, steam the diced carrots for 10 min and set aside. Heat olive oil in a large fry pan over medium heat and add the onions and garlic and saute for 5-6 min. Add the ground beef, soy sauce, Worcester sauce, salt and pepper and cook for about 10 min. 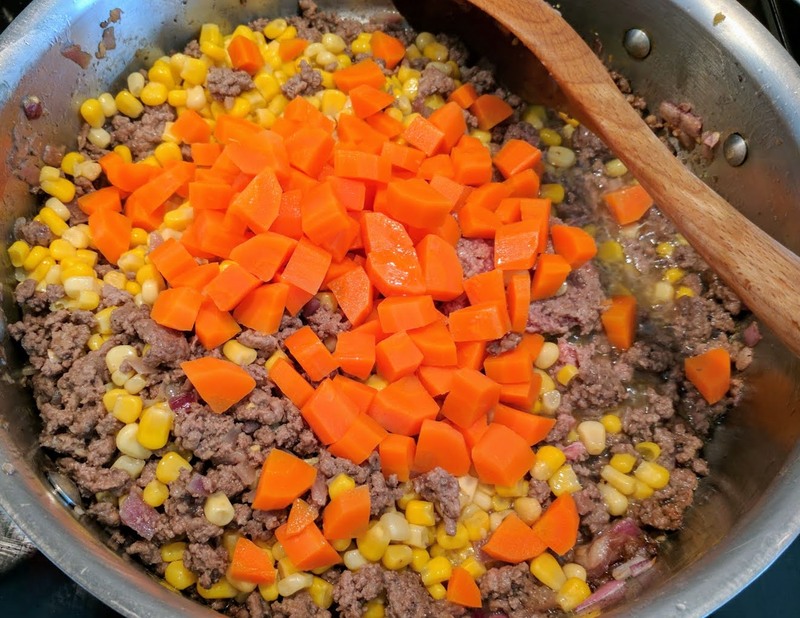 Once the meat is completely cooked, add the steamed carrots and corn and stir together. 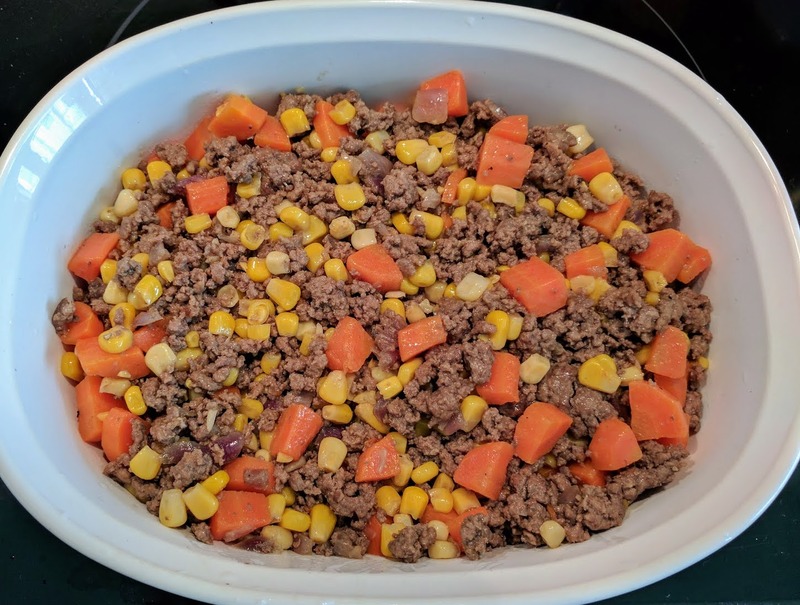 Ground beef, onions, steamed carrots and corn mixed together in the pan. Preheat oven or toaster oven to 375 F. Put the meat mixture in the casserole dish and ramekins, piling it to 1 1/2 inches high. 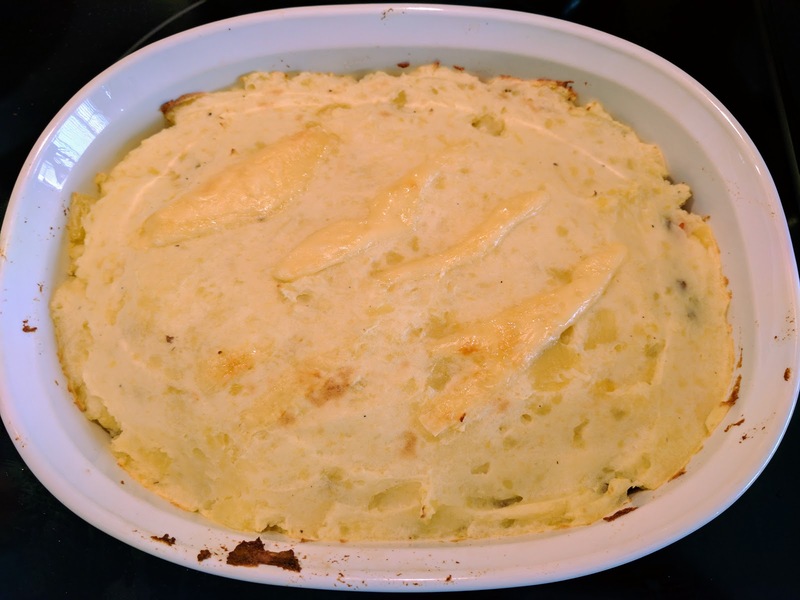 Place the mashed potatoes on top covering the meat evenly. Add some coarsely sliced cheese and place in the oven for 8 min, broil for another 3 min. 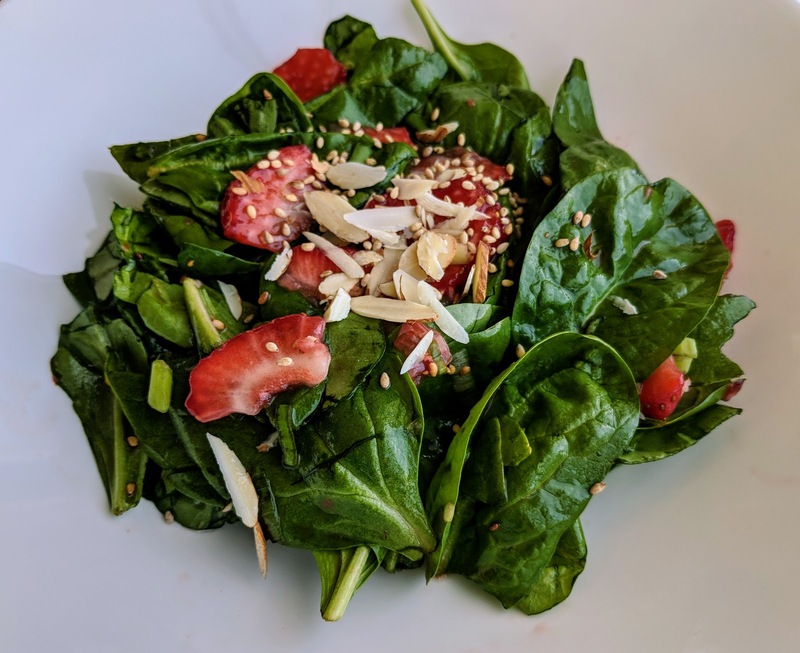 Sprinkle some smoked paprika and serve with a salad or have it on its own as an all-in-one meal! The ramekins don't need to be baked at this time if you are having it another day. They can be wrapped in tin foil and stored in the fridge for 3 days. When ready to serve, bake for 10-12 min at 375F and enjoy! 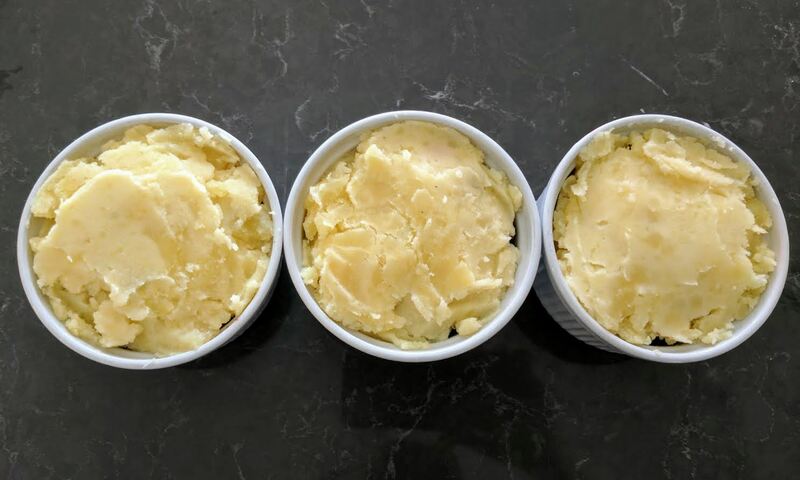 Shepherd's pie in individual ramekins before they are baked. To serve on another day, cover with tin foil and store in the fridge.